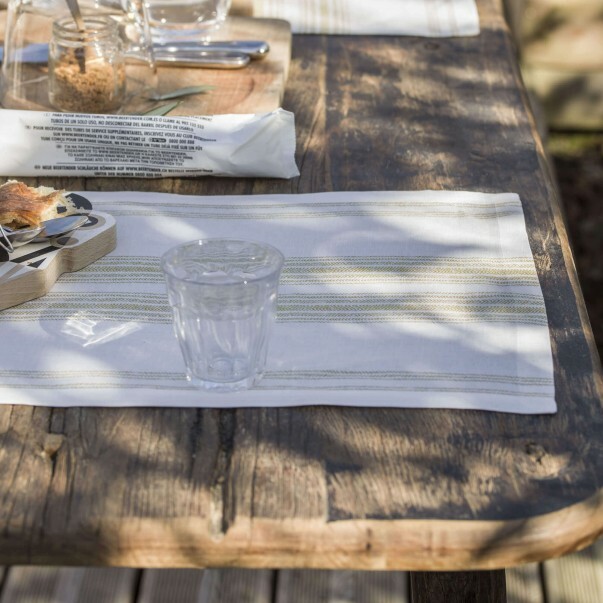 Accessorize your tables with our easy-care long fibre pure linen placemats with Teflon stain release treatment or with our sateen and fancy weave in 100% cotton. Alexandre Turpault placemats can beautifully decorate your dinner table as well as your kitchen table. Alexandre Turpault placemats are available in a wide range of colors and are a beautiful and easy way to dress up your table. Mix and match the colorful placemats with your other table linens to add a touch of elegance and fun to your table. If you want to go for simplicity, you can use white placemats or black placemats. 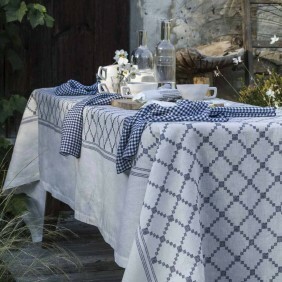 At Alexandre Turpault you will find beautiful placemats for every tables and every tastes. 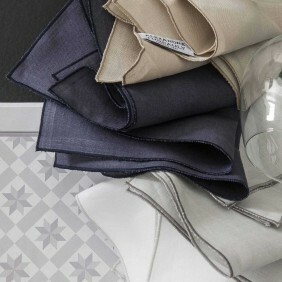 Alexandre Turpault offers placemats in 3 sizes: 13x21.3” placemats, 13x21.3” placemats and 16.5x12” placemats. From patterned placemats, plain dyed placemats to embroidered placemats, each of our placemats will add an elegant touch to your table decoration. 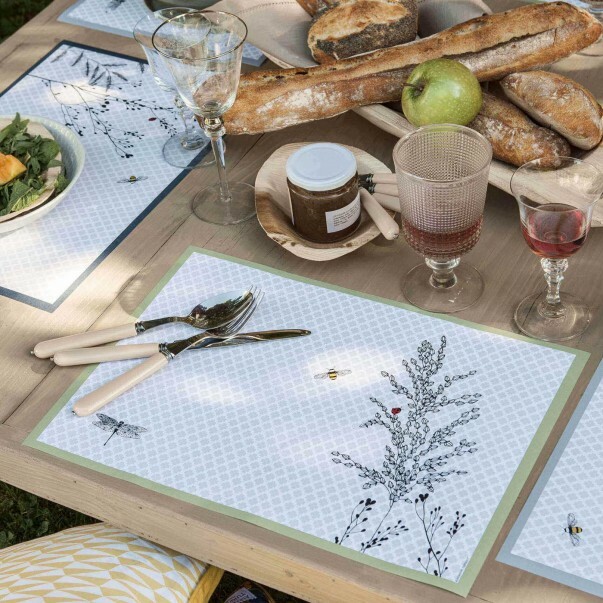 Our placemats are made of three fabrics: they can be either pure linen placemats , cotton sateen placemats, or recycled paper placemats printed with vegetal inks 100% made in France. 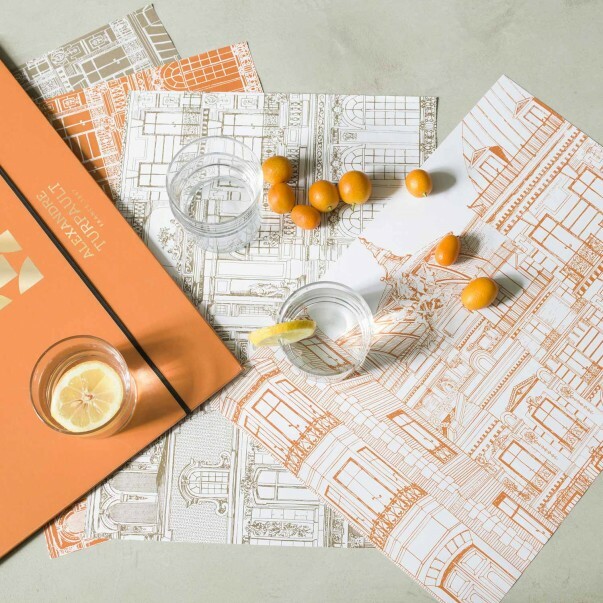 Alexandre Turpault placemats sketchbooks are the perfect gift to offer to your family or to your friends for any occasions! Each book has 4 different placemats patterns. 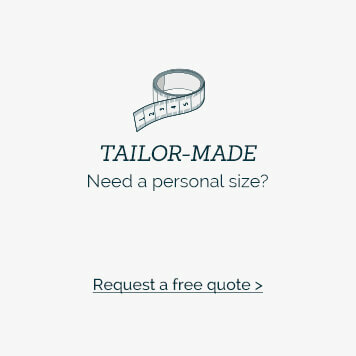 Our sketchbook placemats are 100% made in France. They are not only chic and fun but they are also ecofriendly. 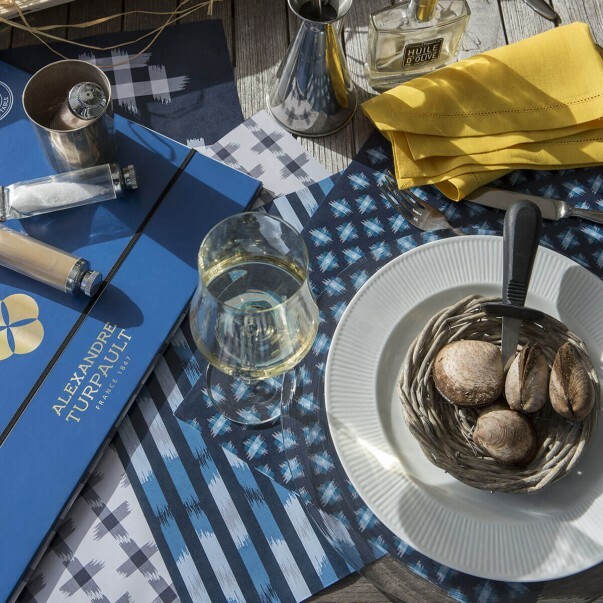 WHY USING ALEXANDRE TURPAULT PLACEMATS? 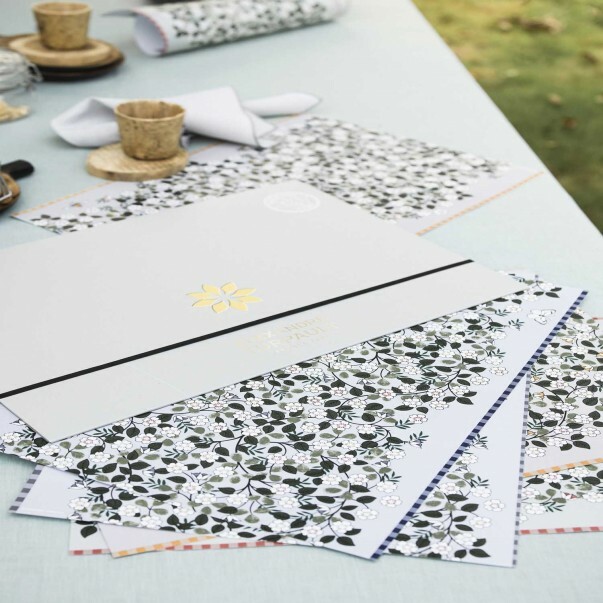 Placemats can be used to add an elegant touch to your table settings for any special occasions such as birthday, seasonal dinner, friends gathering or for a family lunch. 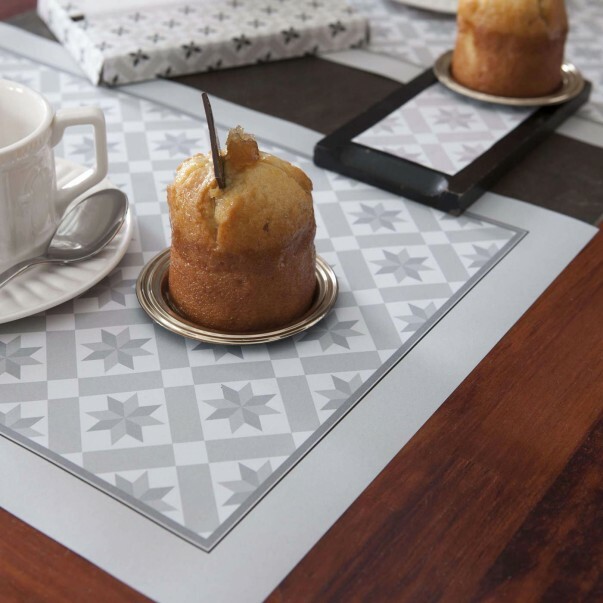 Alexandre Turpault placemats highlight your table decoration and your high-quality items. Your elegant placemats also add an extra texture to each place setting. 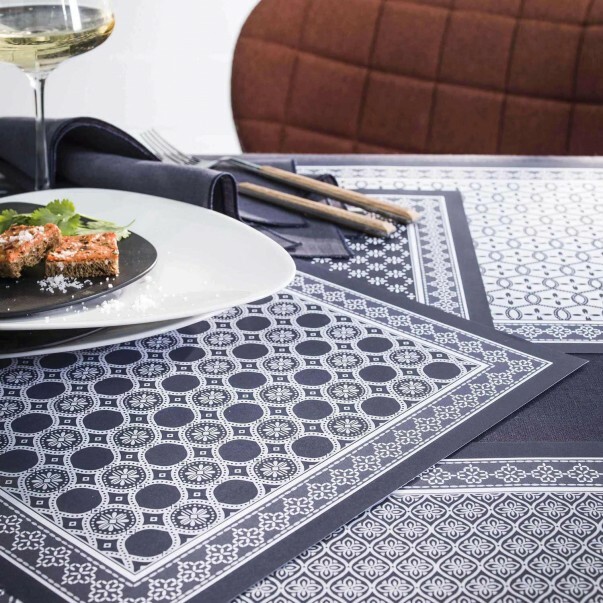 Placemats make cleaning up easier and are useful to protect your table and tablecloth from spills and stains.